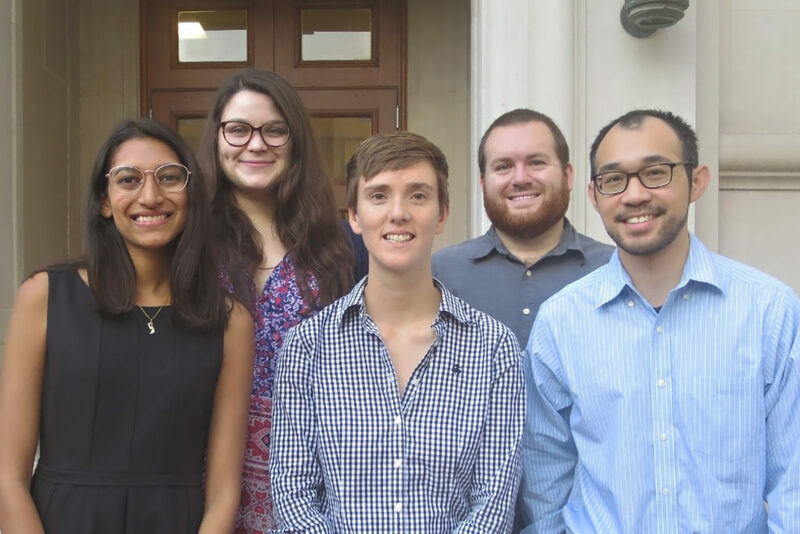 The University of Texas School of Law awards scholarships each year to a group of outstanding students who demonstrate a commitment to studying, promoting, and working in public service. The scholars receive a scholarship and work closely with the Justice Center on public service initiatives. Justin Chung ’19, is associate editor of The Review of Litigation and vice president of programming for the Texas Law chapter of the American Constitution Society. He has participated in the Human Rights Clinic and has volunteered for expunction, supported decision making, and citizenship application pro bono projects. Last year he was a Teaching Quizmaster and a research assistant to Professor Eliza Platts-Mills, co-writing an article with her on alternatives to payday loans. He has spent his summers working for Disability Rights Texas in Dallas and the Southern Poverty Law Center in Montgomery, Alabama. After law school he will clerk for the Honorable David Briones, U.S. District Judge for the Western District of Texas in El Paso. Savannah Kumar ’20, cofounded and codirects the Law and Justice Discussion Group, codirects Street Law as a Mithoff Pro Bono Scholar, and is programming director for the fall 2018 Getting Radical in the South (GRITS) Conference. She is also a research assistant to Professor Sanford Levinson, helping to update his book Fault Lines in the Constitution. Last summer she worked at the American Civil Liberties Union of Texas in Houston and the Center for Court Innovation in New York City. Taylor Loynd ’19, is president of If/When/How: Lawyering for Reproductive Justice, and volunteers weekly covering the Jane’s Due Process hotline. Last year she served as a Mithoff Pro Bono Scholar for the INCLUDE Project and ran the supported decision making clinics. She has participated in the Immigration Clinic, Housing Clinic, and Civil Rights Clinic, and has also volunteered for the Texas Civil Rights Project and Texas RioGrande Legal Aid in Austin. She has spent her summers working for Disability Rights Texas in Austin and the Southern Poverty Law Center in New Orleans. Natalie Neill ‘20, serves as a Mithoff Pro Bono Scholar for the Driver License Reclamation Project; is a staff editor for The Review of Litigation; helped organize Change It Up! 2018; and is involved OUTLaw, the Public Interest Law Association, and the National Lawyers Guild. She is a student in the Civil Rights Clinic and a research assistant to Professor Angela Littwin. Last winter she volunteered as an Income Tax Assistance (VITA) site manager for Foundation Communities in Austin. Last summer she worked with Texas RioGrande Legal Aid in Austin focusing on predatory lending and debt collection. Joshua Wagner ’20, is fellows coordinator and communications chair for Texas Law Fellowships, associate editor of the Texas Hispanic Journal of Law and Policy, and secretary of the J. Reuben Clark Law Society. He is a member of the Texas Law chapter of the American Constitution Society and the Public Interest Law Association and serves as an ambassador for the Texas Law Admissions Office. He is a student in the Immigration Clinic and has volunteered for many immigration related pro bono projects, visiting the Hutto and Karnes detention centers, assisting Texas Here to Stay with DACA renewals and applications, and drafting powers-of-attorney and other documents to provide for care of children if their parents are arrested or deported. Last summer he worked with Immigration Legal Services of Catholic Charities of Central Texas.